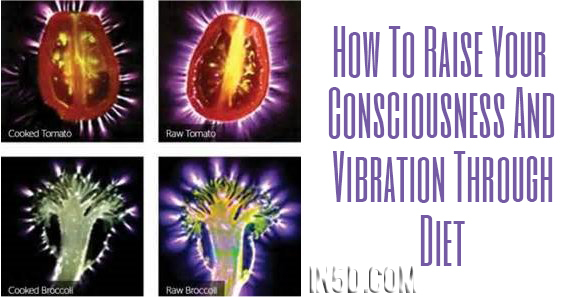 The growing question for many people in this time of awakening is, “what is a high vibrational diet?”, and “How to raise your consciousness and vibration through diet?” I have been asking myself since I was a little girl. I was the child who asked for bitter tea, a sprout avocado pita and strawberries for dessert. WHY? One good reason is because my dad put it on my plate, but there was more to it than that! From a very early age, I knew that there was a direct connection between my state and what I ate. In this blog I am going to explore how diet ties into your vibration, and how you can make simple changes (15 easy steps at the bottom) that can really assist you in these crazy awesome transformational times. 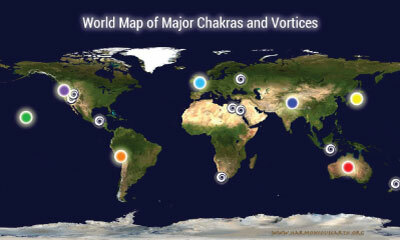 In my experience I haven’t found the perfect, “highest vibrational diet” to follow. The idea of following is falling away. At this stage of the human game, it has become necessary to more fully rely on your own intuition in combination with experts and science you resonate with. We are meant to become self-empowered and know what is our own highest good. We are each soooo unique and in such different circumstances, that there is no one right diet. 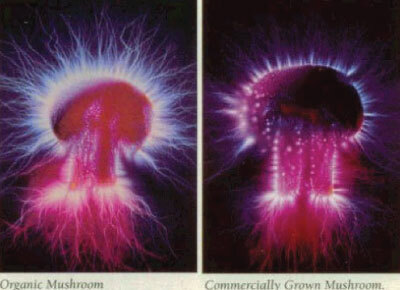 What I can say is there IS a very specific vibration and global reverberation to each food you eat. The most important thing you can do to transition to a higher vibrational diet is to DETOX and CLEANSE the system so you can hear what your body and the world really needs. There are many ways to do this. Here are some great resources: Ken Rohla’s detox videos & products, Dr. Shultz cleansing programs, The Zapper, Bashar’s simple detox recommendation. There is a prevailing belief that you need to cook your food to kill harmful bacteria, but in doing this you also kill the life force of fruits and vegetables, as well as the nutrient content by about 1/3 or more. This is mainly done for preservation purposes and shelf-life. In the past we preserved foods by fermentation (the first ketchups) and other natural methods such as salting, cooling and drying foods, which maintained the life force as well as preserving it. Chemical additives used for preservation also toxifies foods. I’ve found that everything my tastebuds dream of can be made raw from lasagna to pizza, brownies, berry jams and grain-free bread… it’s all possible. Often times we associate raw diets with eating only cold foods, fruits, vegetables and salads. Transitioning to a highly raw diet takes time and doing it correctly is an art form. As you look at this list, just choose 1 or 2 items to incorporate over the next few weeks. Then come back, and add in something else next month. Baby steps. It is good for the body, mind and soul to transition at a natural pace. 1. Determination and Willingness to be Different: The most important key to transition to a high vibrational diet is to change your beliefs. An open, willing and determined mental and emotional shift is required to make a longstanding difference. A commitment to yourself as well, as a plan to “stay on track” such this list here, to incorporate solutions and adapt to a new way of being. It can be challenging being around friends and family who may make comments or start challenging dietary discussions. This comes with the territory of stepping out and being who you truly choose to be. 2. Go Organic, biodynamic, wild, and local: Do the best you can to incorporate non-GMO and organic foods in your diet, as I shared above. This will make a huge difference!! 3. Spring Water: Tap water and many corporate water bottling companies have toxic chemicals such as fluoride, heavy metals, chlorine, BPA and other toxins. It is also stagnant and does not hold the life-force of energized natural water sources our ancestors used to drink from. Spring water has been contained underground in aquifers for thousands of years, not exposing it to the pollution and contamination on the Earth’s surface. 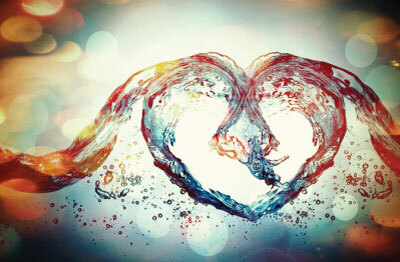 Many people are switching to reverse osmosis or kengan water which draws minerals from the body. In most areas throughout the world, there is accessible spring water to start drinking. I suggest buying a few 5-6 gallon BPA free or glass water jugs, and making it a ritual to collect fresh spring water every few weeks. To find a spring in your area click here. 4. Cleanse & Detox: I already said this above, but I want to reiterate it again. Cleansing will help your body optimally function and clear the way for you to absorb all of the nutrients you are taking in. 5. Mineralize: Often times when you are hungry or tired, it is your body seeking minerals. Many foods lack the essential fulvic acids (rich minerals) that were once naturally in the soil. By eating super mineral rich foods and supplementing fulvic acid, we give the body what it really wants that our fruits and vegetables have lower amounts of. Mineralized foods that are easy to incorporate: Sea salt (celtic is my favorite), sea vegetables (full of iodine and mineral rich) such as nori, kelp, irish moss and dulse, fulvic acid supplement, organic lemon water, organic non-gmo organic miso (Miso Masters or South River Miso) and other cultured foods such as kimchi and sauerkraut. 6. Sugar: Many of us know by now that refined sugar is really bad for us. We hear the stories of how native’s teeth would decay and have problems, only when introduced to sugar by Westerners. So what are our options? For me, I have a sweet tooth and there are plenty of ways to taste the sweet nectar of life without deteriorating your body. The brain needs “good” sugars to properly function. In our culture we get wayyy to much and part of the craving is due to parasites, not necessarily our body’s needs. After I did a parasite cleanse, my fruit and sugar intake naturally fell to about 1/3 of what I was consuming before. Good (low- glycemic) sugars include: raw honey (ammmazing for health and vibration), lucuma powder, raw coconut palm sugar, stevia, agave, real maple syrup, yacon, goji berries (to use in recipes) and dates. 7. Have Guts – In your gut there is good bacteria that helps breakdown foods and assimilate nutrients, and “bad” bacteria and parasites that cause inflammation and even live off of the foods you intake. Cultivating strong gut flora is very important to overall health. By taking probiotic supplementation and eating fermented foods such as kimchi, sauerkraut, coconut and yogurt kefirs you can begin building strong gut flora. Here is a good simple resource to get started and my friend Jennifer Lotus is very adept on the subject and hosts online courses on rebuilding the gut if you are interested. 8. Go Green! Most people’s bodies are acidic from stress and toxic diets. When the body’s PH is not in natural balance, sickness, weight gain, depression andlow energy can occur. By incorporating more high PH foods, such as green vegetables and fruits, the body can come back to equilibrium with renewed vitality. 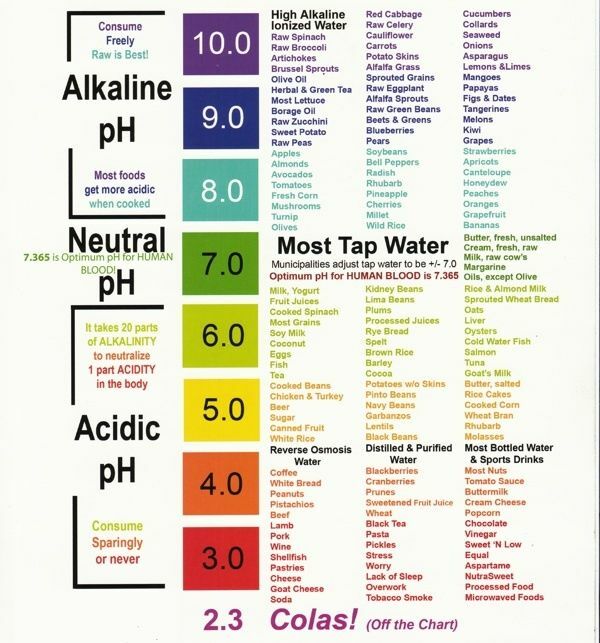 In some cases people take this too far and become too alkaline, but for the most part, transitioning to an alkaline diet is going to have very beneficial results. 9. Get Soaked: Soaking raw nuts, raw seeds, legumes and ancient grains breaks down enzyme inhibitors allowing smooth digestion and nutrient assimilation. The standard soak time for all of the above is about 5-8 hours or overnight. 10. Plant-based Proteins: A helpful consideration, especially to the planet, is cutting down on animal forms of protein and switching to plant-based sources. Ahhhhh, the biggest question I have heard all my life, “Where do you get your protein?” I will now ask you a question, “Where does a cow, chicken and elephant get its protein?” The animals get all the protein they need from a plant-based diet. Protein is in fruits, vegetables, legumes, nuts and seeds. Broccoli is 50% protein! Cooking changes the molecular structure of animal proteins often rendering it unusable by the body. In most cases over half of the bioavailable protein in cooked meat is lost and even more in pasteurized dairy. My favorite forms of vegan protein are bee pollen (rich in vitamins & minerals and has 14.4g per 1/4 C), pea protein (super bio-available and 10.6g per 1/4 C & more from theprotein powder), spirulina, flax seeds, hemp seeds, chia seeds, black beans, macadamia nuts just to name a few. Click here for a full list that I’ve put together & click here for a website with awesome vegetarian recipes! 11. Good Fats: Incorporate good fats into your diet, cold-pressed organic oils such as olive oil, coconut oil, sesame oil, hemp oil and avacados! Doing this will increase brain function and make the skin subtle. Many of the fats in packaged foods and at restaurants, even in organic products, are rancid which clogs the gallbladder. Be aware of your choices and feel free to do occasional gallbladder cleanses to clear out built up rancid fats. 12. Grains: Around the 1960’s the dawn of radiologically induced mutations where successive generations of chemically hybridized wheat cultivars shifted glutenin and gliadin from healthy protein to toxins, created wheat created allergies and sensitivities. Ancient grains (pre-modified) such as likeemmer, spelt and einkorn are more easily digestible and don’t cause body inflammation. You can also choose from a variety of “grass seeds” or non-grain options if that works better with your system, such as: quinoa, buckwheat, hemp based products (granola, etc), coconut flour, almond flour, mesquite flour, wild rices. Remember to introduce soaking (#8) and fermentation (#6) to your baking and making, for better digestion and assimilation of these foods. 13. 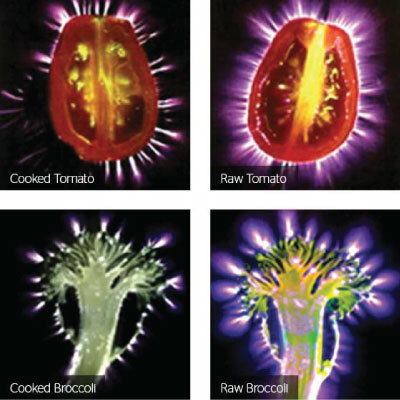 Incorporate Raw: As I already shared above, fresh food have a high vibration, living enzymes and nutritional content is higher when it is left raw. Many foods, when cooked, become toxic which create antibodies in the removal of these toxin, rather than using the body’s natural digestive enzymes. A more raw, plant-based diet will bring back our body’s natural digestive enzymes, but you may need to supplement digestive enzymes as you transition your diet. In my explorations, almost everything you can dream of can be made raw like jelly, cakes, brownies, pizzas, lasagna…When I first started, I thought raw meant living on apples and salad! Nope, there are so many possibilities. Let this be a chance to curiously explore how you can keep your fruits, veggies, seeds and nuts alive! When you do need to warm or steam vegetables in the fall and winter season, tune into them and don’t over-cook. Many legumes, starches, and root vegetables need to be “cooked” to make their medicines bioavailable. Even when preparing these, a roaring boil means they’re taking their last scream of life before they die. Click here to read the blog I wrote with recipe ideas and how to medicinally “cook” these items. 14. Coffee & Stimulants: Intaking these substances gives you a false sense of energy and actually fatigues the adrenals which depletes the kidneys. Long-term, this leads to premature aging due to draining your essential life-force (known as “Jing” in Chinese Medicine). There are many coffee alternatives on the market now that have the tasty satisfaction without the crash:Teeccino or Chaga Tea to name a few. If you can’t give up your coffee, at least lower your intake, or add in herbal kidney/adrenal balancers – Jing supplements. Coffee is acidic which lowers the body’s energy levels, but by incorporating a higher alkaline diet and gentle cleansing, you can regain your essential energy and may no longer need the pick me up. Here’s my friend’s tonic latte recipe and a video we did together making a coffee alternative drink! 15. Take Time For Yourself: Above all!! Take time to rest, get proper sleep, relax, do what you love and LAUGH. This is the best thing for your body-mind and soul. Please visit Bridget’s amazing website HERE!